Cakes are a booming business. There’s a birthday every day for 365 days per year. There are cakes ranging from gourmet cakes to edible prints to specialty cakes to character cakes. There’s fondant, buttercream and even glazed cakes. The possibilities are endless. I’ve seen some really amazing cakes. I mean who would have thought a couple years ago that we could have cake in the shape of virtually anything we want?! These are always so cute and fun to have on a birthday. The problem now, is that there are so many people specializing in cakes that we don’t know who to choose from! Appearance is one thing but if the cake doesn’t taste good…forget about it! Ultimately we want delicious cake and the fun designs are secondary. With any goods or services that are being sold, you’d expect certain things to be at a particular standard and customer service is included in that. I am extremely last minute. I’m a hell of a planner but I also procrastinate a hell of a lot. I decided on very short notice to have a ‘lime’ for my birthday. Unfortunately, my birthday always falls close to Divali so I decided to wait until after. This happened to be the same weekend as my #bae’s birthday. Why not do a two-in-one? Now that I’d decided to do that, I had to get not one but TWO cakes. Knowing I was so last minute I decided I couldn’t ask too much of one person doing the cakes. I knew who I wanted to do my cake but I was now in search for someone to do the cake I had in mind for him. Naturally, I took to Google. I typed in ‘Specialty cakes in Trinidad’. A list of websites and Facebook pages appeared. For some reason I kept going back to one particular page, ‘TastyKake Kreations’. Not only did I love the name but whilst browsing the pictures featured on the website, the cakes were neat and clean and the designs were gorgeous. The website itself was user friendly and very detailed, easy to maneuver and professional. There was even an option to place your order online. I got really excited because not only were the cakes gorgeous but the reviews said they tasted great. It was a Sunday afternoon and I shot them an e-mail (they don’t take order inquiries on weekends). 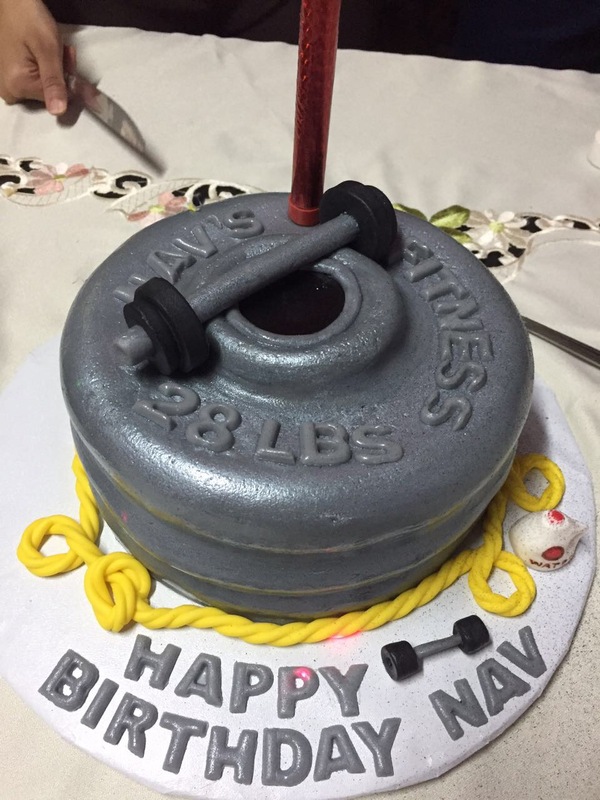 I wanted to do a gym themed cake for him. I described the cake and sent an image. As soon as Monday rolled around,I gave them a call to ensure they saw the email. They were extremely accommodating, especially with it being such a rush order. 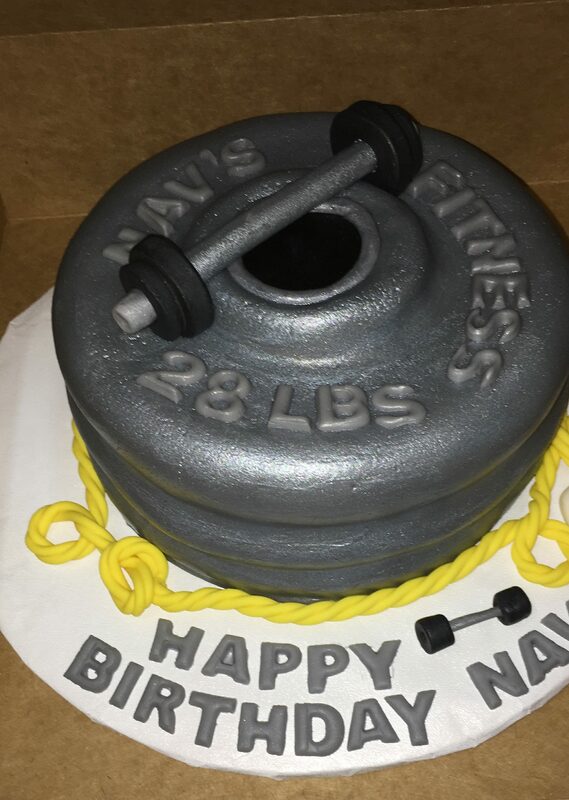 I wanted a fondant figurine on the cake but as was explained to me certain things take a little longer to dry and the timing was too short, which I understood. We came up with a final design for the cake and agreed on a price. A downpayment had to be made to confirm the order. There’s the option to drop it directly to them or to make a bank deposit, which I thought was a very convenient service. Their location was also very easy to find. They are located in Tacarigua. What’s even more perfect to me is that they deliver! Heaven sent! With the rush on the day of an event, having someone deliver is an excellent service and saves so much time. 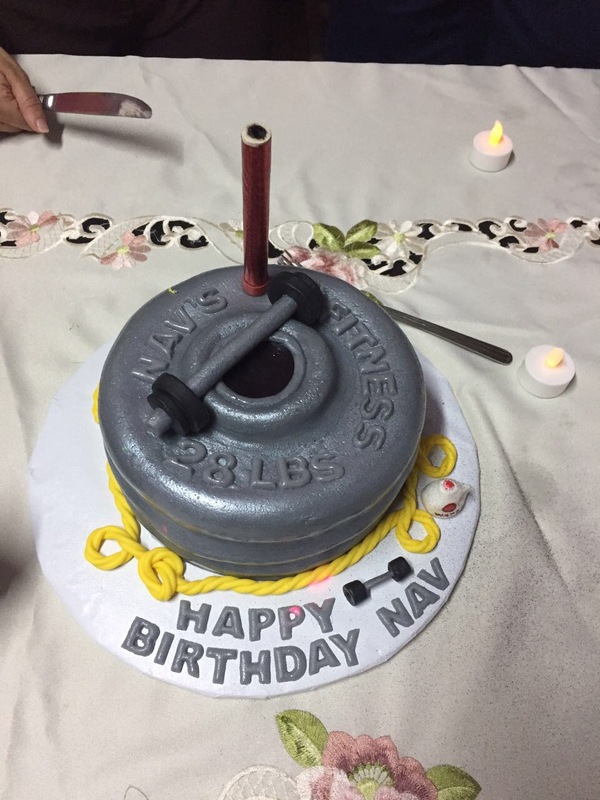 We corresponded over WhatsApp, another thing I really appreciated and she even went a little further than I asked with some of the elements on the cake. I love that she took that initiative. The customer service was excellent. She responded almost right away and was always pleasant and willing to help. On the day of the delivery, they were prompt and on time. When I saw the cake for the first time I was blown away. It was better than what I anticipated and the work was very neat and clean. The fondant work was beautiful and I was especially grateful that there were no cracks in the fondant. Next was the taste test… which they also passed with flying colors. We ordered a chocolate cake. It was delicious! The cake was moist and rich, and the buttercream was amazing! I LOVE fondant so getting it to taste right is a huge deal for me. They nailed it. It wasn’t overpoweringly sweet, it wasn’t chewy and it didn’t taste artificial. It was Y-U-M! All in all, will I order from them again? Most definitely. They are reasonably priced, friendly, the service is great, their work is amazing and the taste is on 1000!